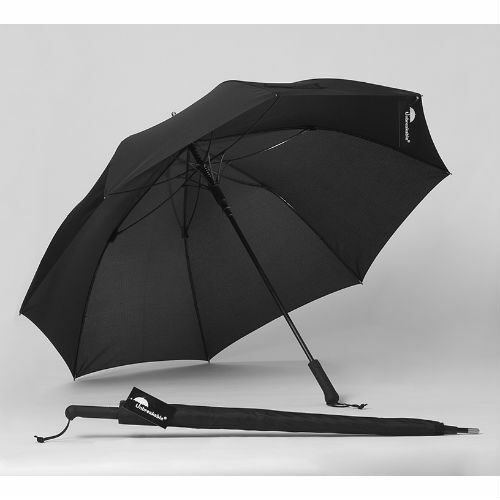 Walking Stick Umbrella - Support and Rain Cover in one! 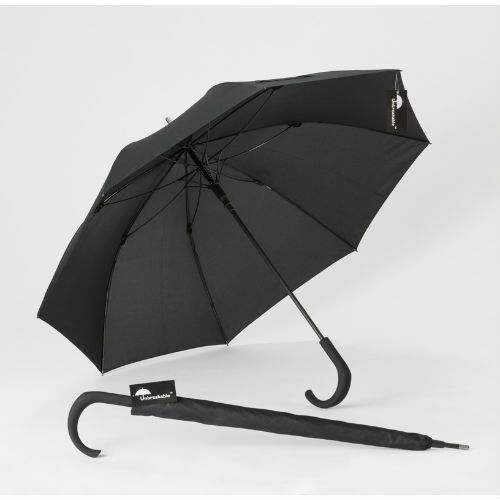 Walking stick and umbrella combined. 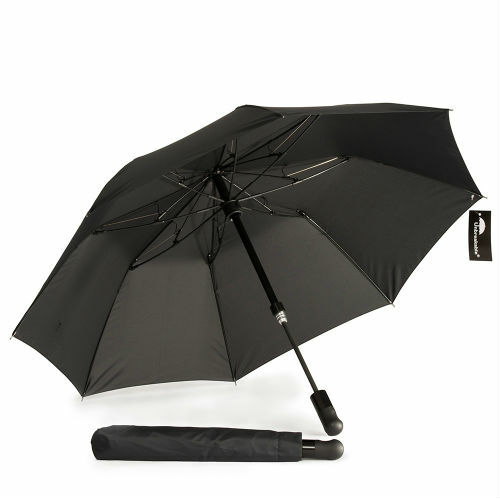 Black manual umbrella. Smart black plastic handle and rubber ferrule on end. 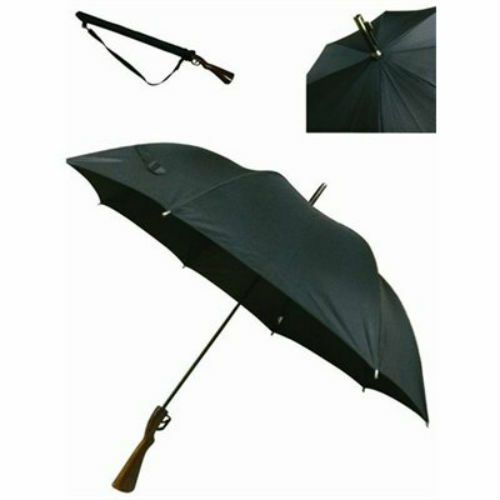 Gun Umbrella - Open your umbrella with a bang! 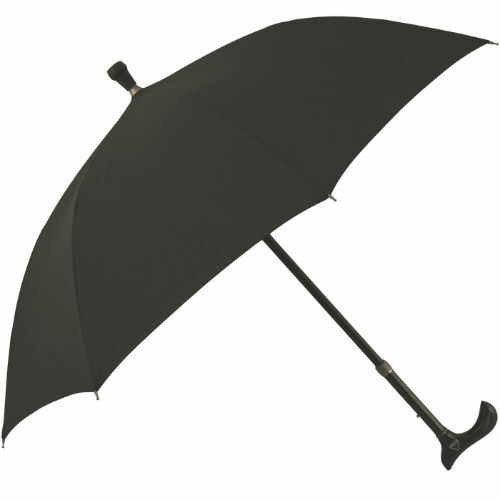 Get a bang out of this umbrella, pull the trigger to open and you will be protected from the elements. Realistic looking plastic gun stock handle.